Many clinicians advise patients with atrial or ventricular arrhythmias to avoid caffeinated beverages, but recent research has shown that coffee and tea are safe and can reduce the frequency of arrhythmias, according to a review published today in JACC: Clinical Electrophysiology. Arrhythmias, or abnormal heart rhythms, cause the heart to beat too fast, slow or unevenly. While some arrhythmias may be harmless or even go unnoticed in patients, others can increase risk for sudden cardiac arrest. Atrial fibrillation (AFib), the most common heart rhythm disorder, causes the heart to beat rapidly and skip beats, and if left untreated, can cause strokes. A single cup of coffee contains about 95 mg of caffeine and acts as a stimulant to the central nervous system. Once in the body, caffeine blocks the effects of adenosine, a chemical that can facilitate AFib. The authors analyzed multiple population-based studies to determine an association between caffeine intake and its effects on atrial and ventricular arrhythmias. These studies have consistently shown a decrease in AFib with an increase in caffeine ingestion, with one meta-analysis of 228,465 participants showing AFib frequency decreasing by 6 percent in regular coffee drinkers, and a further analysis of 115,993 patients showing a 13 percent risk reduction. "There is a public perception, often based on anecdotal experience, that caffeine is a common acute trigger for heart rhythm problems," said Peter Kistler, MBBS, PhD, director of electrophysiology at Alfred Hospital and Baker Heart and Diabetes Institute, and the review's lead author. "Our extensive review of the medical literature suggests this is not the case." The authors also determined that caffeine has no effect on ventricular arrhythmias (VAs). Caffeine doses up to 500 mg daily (equivalent to six cups of coffee) did not increase the severity or rate of VAs. A randomized study of 103 post-heart attack patients who received an average of 353 mg/day resulted in improved heart rate and no significant arrhythmias. Only two studies showed an increased risk for VAs, where patients ingested at least 10 cups and nine cups/day, respectively. "Caffeinated beverages such as coffee and tea may have long term anti-arrhythmic properties mediated by antioxidant effects and antagonism of adenosine," Kistler said. "In numerous population-based studies, patients who regularly consume coffee and tea at moderate levels have a lower lifetime risk of developing heart rhythm problems and possibly improved survival." The authors determined that energy drinks should be avoided by patients with pre-existing heart conditions. One energy drink can contain anywhere from 160-500 mg of concentrated caffeine. Three quarters of patients with pre-existing heart conditions who consumed two or more energy drinks/day reported palpitations within 24 hours. Both large population studies and randomized control trials suggest caffeine intake of up to 300 mg/day may be safe for arrhythmic patients. 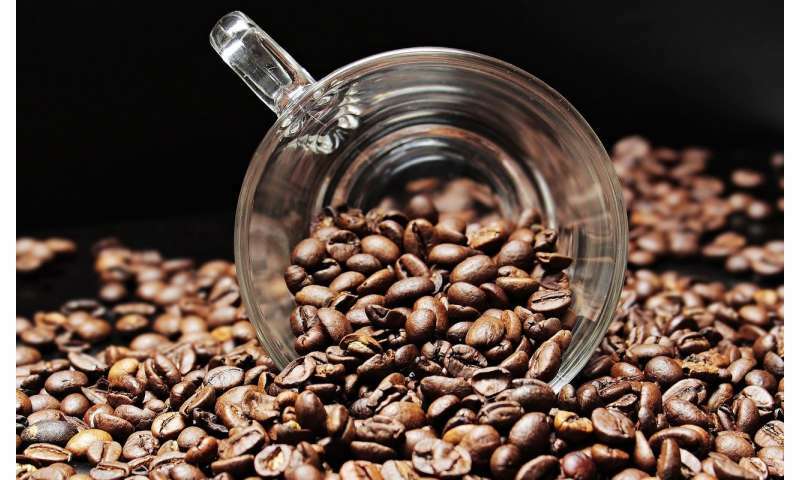 However, there may be individual differences in susceptibility to the effects of caffeine on the factors which trigger arrhythmias in some, and up to 25 percent of patients report coffee as an AFib trigger. Patients with a clear temporal association between coffee intake and documented AFib episodes should accordingly be counseled to abstain. Future research looking at the relationship between heart rhythm patients and the impact of caffeine abstinence may be useful to further clarify this topic.